The teaser shows refreshed taillights without LED, and a sculpted rear door. A rear window wiper can also be spotted in the teaser. The comeback of the Hyundai Santro has been creating a buzz for some time now. The family hatchback was unveiled earlier this week which gave us a good look at its refreshed design. 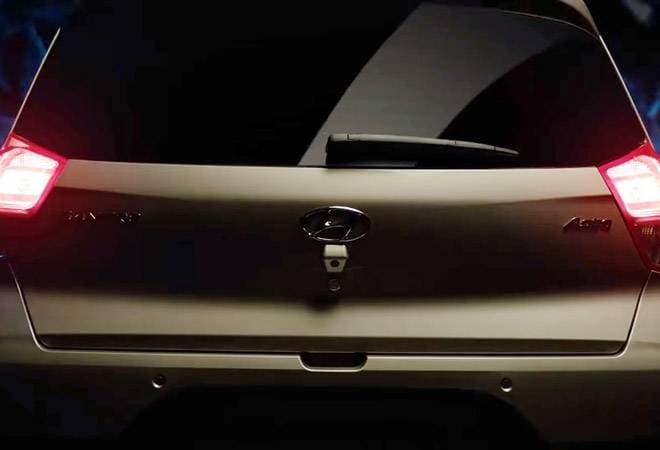 Soon after, Hyundai released a teaser video of the new Santro which reveals more about the taillights and the rear design of the car. The teaser shows refreshed taillights without LED, and a sculpted rear door. A rear window wiper can also be spotted in the teaser. The TV commercial also shows various design aspects of the new Hyundai Santro, including the tall boy silhouette, body lines running across the sides of the car, cascading front grille, swept back fluidic headlamps and higher set fog lamps. The new Hyundai Santro will get bigger 14-inch wheels, but will not have alloy wheels on any variant, though. The interior of the car has been revamped too with AC vents in the top variants and a 6.5-inch touchscreen infotainment system with Android Auto and Apple CarPlay support. On the security front, the new Santro will come with driver-side airbags and ABS as standard on all variants. It will comply with the BNVSAP norms that will come into effect from April 2019. The new Santro will be built on an all-new platform which the company claims has been worked on for three years. Borrowed from the Grand i10, this platform uses 63 per cent high strength steel and pillars made of ultra-high strength steel. In terms of length, the car has a length of 3610mm which is 45mm longer than the older version and the increased wheelbase is also expected to allow some more room in the cabin. Under the hood, the car will feature a 1.1-litre petrol engine which will churn out 68bhp of power and 99Nm of torque. The expected mileage on the car is 20.3kmpl. The new Santro will come with a 5-speed gearbox but Hyundai will also provide an AMT, which will be a segment-first feature. Bookings for the new Hyundai Santro have begun and will continue till October 22 online. First 50,000 people can register their units for Rs 11,100. Upon launch, the new Santro will take on competition from Maruti Suzuki's Wagon R and Celerio, Tata Tiago and Renault Kwid.